O’Donnellan & Joyce has some fine family homes for sale in its Wild Atlantic Way autumn auction, including No 32 Grattan Park. 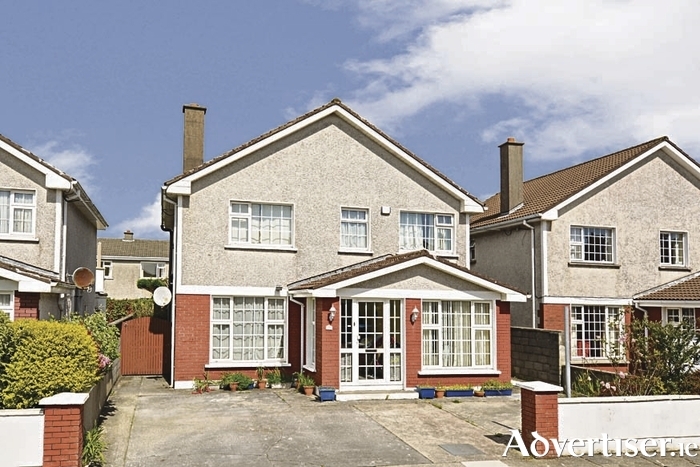 This superb four bedroom detached family home is in one of the best locations in Salthill. Situated among similar detached properties and presented in excellent condition, this is one of the best family homes to come to the market for some time. Located across the road from Grattan Road Beach and within equal walking distance of Salthill and Galway city centre, one need look no further that this for the finest family home around. Features include a burglar alarm, PVC double glazed windows and doors, two bedrooms en suite, oil fired central heating, large rear garden with garden shed, and ample parking with off street parking for two cars. The BER is D2 on BER cert no 109027029 with an energy performance indicator of 269.19kWh/sq m/yr. Solicitors with carriage of sale is Paul Watters, RG Emerson & Co solicitors, 13 Cross Street, Galway, phone 091 562550. The auction will take place on Tuesday September 27 in the Harbour Hotel, New Dock Road, Galway, with final open viewing on this property this Saturday from 12.30pm to 1.30pm. AMV is €420,000. Anne Harding of O’Donnellan & Joyce is the agent looking after this sale. Further details are available on www.odonnjoyce.com or by calling 091 564212.